​​​​​​​At Lakeside Eye Associates, we want to make your first visit with us as welcoming, enjoyable and productive as possible. It is our goal to be your one-stop-shop for all your eye care and vision needs in the Huntersville area. Here at the New Patient Center, we have gathered everything you need to get started as a patient. New patient forms, payment options, services offered – we want to give you all the information you need to make your transition as easy as possible. So please explore, and don’t hesitate to get in touch with our team if you have any questions! You may have been to countless eye doctors, or this may be your first time. Whatever your experience level, we want you to know that we are here to exceed your expectations. 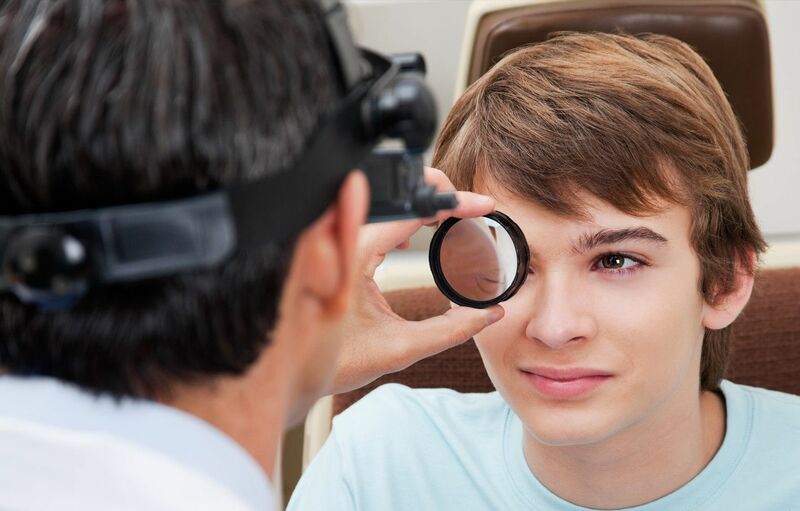 We are proud to be the favorite eye care and vision care provider in the Huntersville area, and we work hard to uphold our reputation and keep our patients satisfied. When you first come into our office, you will be greeted by one of our friendly staff. If you have already printed up your paperwork and filled it out, you can give it to our team member. Or, if you still need to fill out your new patient form, you can get one when you come in and complete it before your appointment. We do ask if you are going to complete the form when you first come in, please arrive 15 minutes early. After you have filled out your paperwork, you will be asked to come back into the clinic to begin your exam. We offer comprehensive eye exams designed to get a clear picture of your eye health and your need for vision correction. Even if you do not need vision correction, regular eye exams are important to spot the signs of eye disease early when they are best treated. So whether you are in the market for glasses and/or contacts, or not, we still encourage you to visit us for an eye exam regularly. 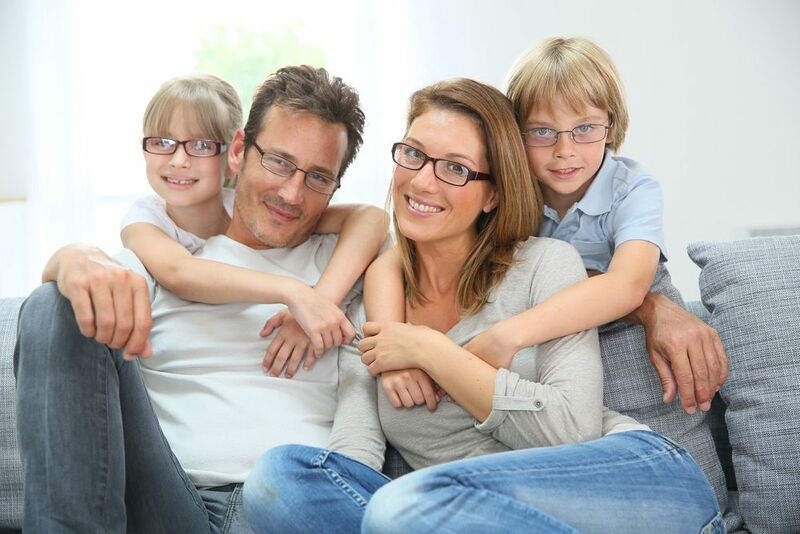 With thousands of frames to choose from, we can help you get the glasses you want and need. The doctor will ask questions to determine your lifestyle and vision needs, and then advise you on what lenses would best suit those needs. There are a lot of lens types available now, making the advice of the eye doctor invaluable when choosing your glasses. We carry numerous brands and styles of contact lenses. Once the doctor has completed your contact lens exam, he or she can help you decide on what type of lenses will work best – including daily wear lenses, extended wear lenses, gas permeable lenses and more. We can also provide you with colored lenses if you are interested. If you are aware that you have an eye disease or condition, or if we diagnose you with an eye condition, we can provide you with the latest in treatment options to help protect your vision and eye health. Our team has experience treating all major eye diseases, including cataracts, glaucoma, diabetic eye disease, dry eye and more. If you want to use any of the online forms, simply click the link, download the form and complete it. Then print the form and bring it in for your first visit. You can pay for services using all major forms of payment, including debit card, credit card, check, and cash. We also work with patients who wish to use Flexible Spending Accounts, so you can often cover most of the costs of care by combining your FSA with your vision insurance. We accept most major forms of vision insurance as well. If you have questions about whether we accept your insurance or a specific form of payment, please feel free to contact us. We can answer all your payment related questions. If you are ready to schedule your first appointment, please contact us at (704) 457-7300 now. Let us show you why we are the best optometrist in Huntersville, NC!